It’s gritty. It’s dark. It’s emotional. 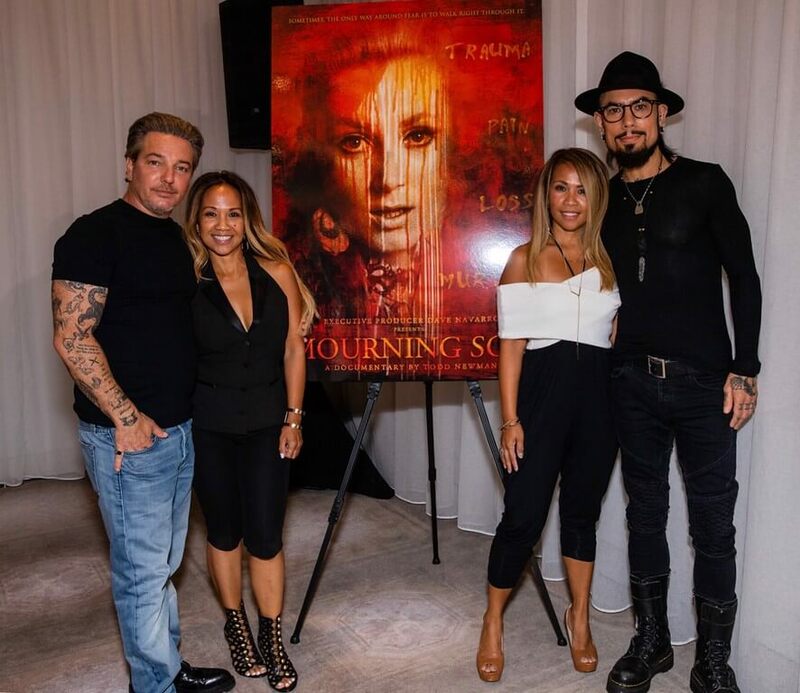 And Virgin Hotels Chicago recently had the chance to witness it all at an intimate screening of the film Mourning Son. Produced by Dave Navarro, the legendary Jane’s Addiction guitarist known for his unpredictable (shirtless) performances and former member of the Red Hot Chili Peppers who helped create epic songs like Warped and Aeroplane, Mourning Son was anything but tame to the 105 guests who attended the sold out event on August 17. Of course, the highlight of the evening was an intimate Q+A with Navarro and his best friend, Todd Newman, who directed the film that took seven years to complete. 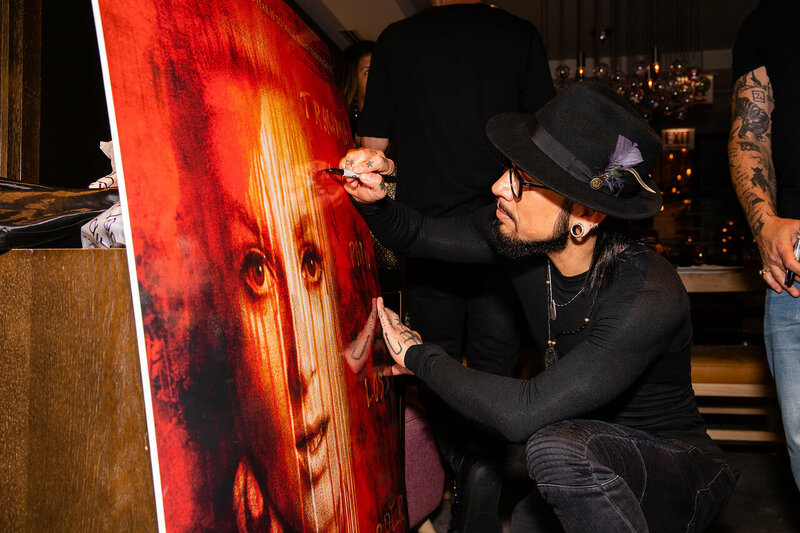 Our partners at Indistry Media brought us a high-profile artist, not only to perform, but to offer the audience an exclusive and unconventional look into their personal life. Navarro was just 15 at the time Navarro’s mother, Connie Navarro, and a close friend, Sue Jory were brutally murdered. The man responsible for the murders was free for eight years. This led Navarro down a dark path of addiction and escapism. We don’t want to give it away, but Mourning Son isn’t for the faint of heart. It shows drugs, it shows pain and it’s definitely one of the rawest films we have screened at Virgin Hotels Chicago; but, we also couldn’t turn away. It was clear that Navarro and Newman aim to spread the message that domestic violence can happen and affect anyone – even a rockstar like Navarro. Fortunately, for Navarro, he had a creative outlet – music. And for that, Virgin Hotels is ever-grateful, especially since social impact and music are inherent in our DNA. The Q+A was just as powerful as the film. 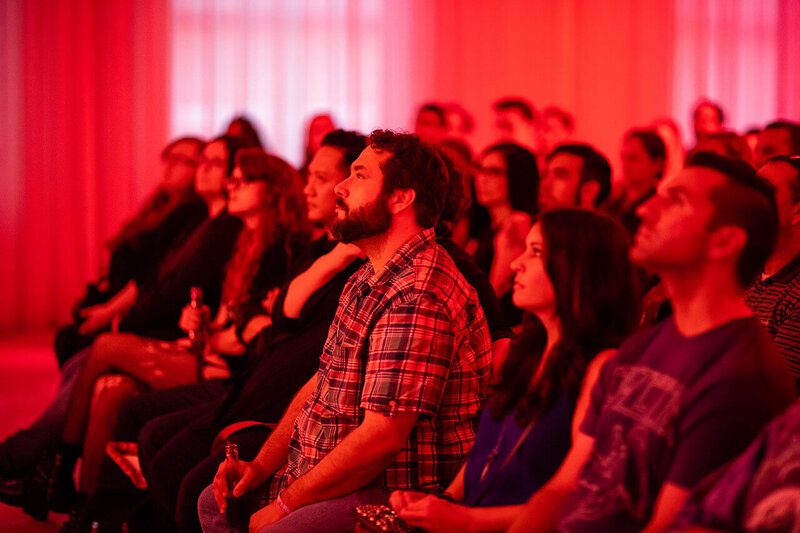 Many of the audience members shared their own struggles with drug use and domestic violence. 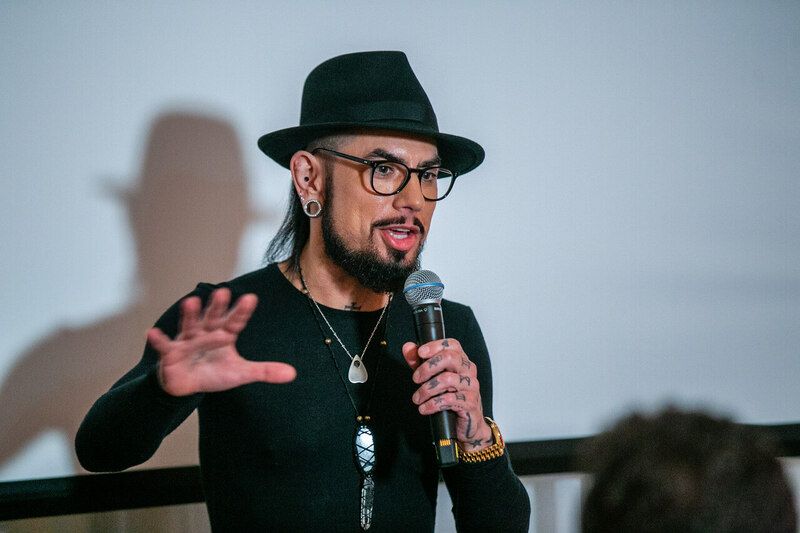 But, somehow, Dave Navarro answered each and every question with sensitivity and humor. 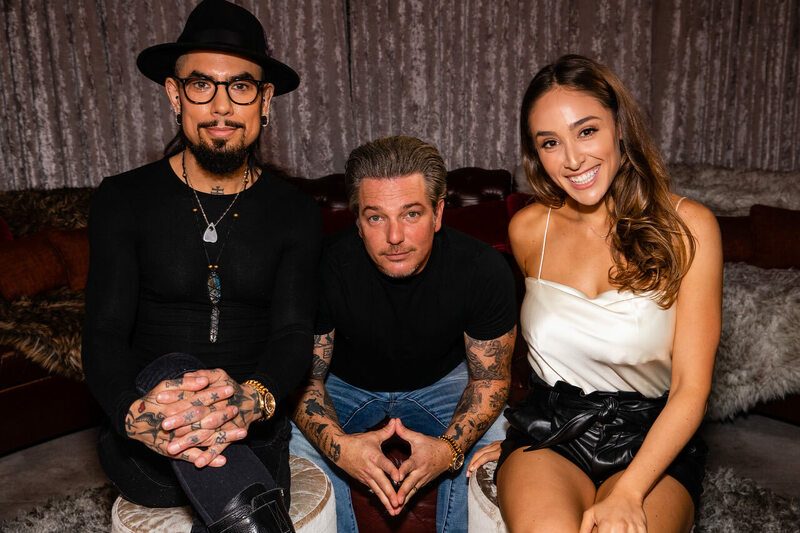 It was like talking to your best friend – and not Dave Navarro – you know, just that guy from Jane’s Addiction! Afterwards, Dave and Todd took pictures with everyone, and we do mean every guest that came. Want to see more? Sign up at Indistry TV to watch event highlights and the Q+A (coming soon).